In the Martin & Sylvia Nature School audio story "The Color is Always There" Sylvia and Sofia make their own colorful leaves out of paper and paint, while Daneesha teaches Martin's Wilderness class how to find color even in a late autumn gray brown New England forest. Martin also gets to know Sam better and learns that she is missing Arizona, the colorful state where she used to live. We are joined by Dawn of Muddle Puddles to Meteors. Fall is here and leaves are everywhere. Martin and Sylvia love playing in the leaves and using them to make all sorts of art projects. We do to and as we walked around the yard the other morning we looked for things that would be fun to use in a printing project. All of the fall leaves swirling around in the wind seemed to call to us. 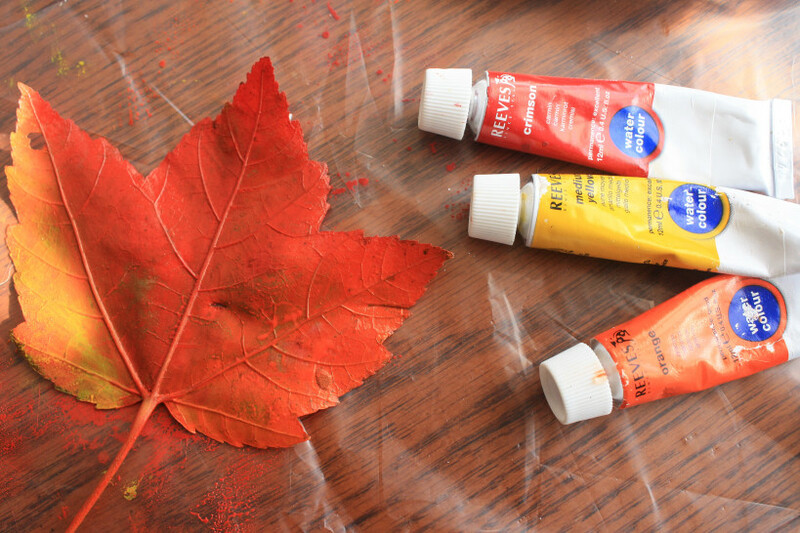 It is no wonder there are so many fall leaf inspired crafts out there. They beg to be used for all manner of creation! We played around a bit but eventually figured out that the use of mostly dry tube watercolors make beautiful prints. 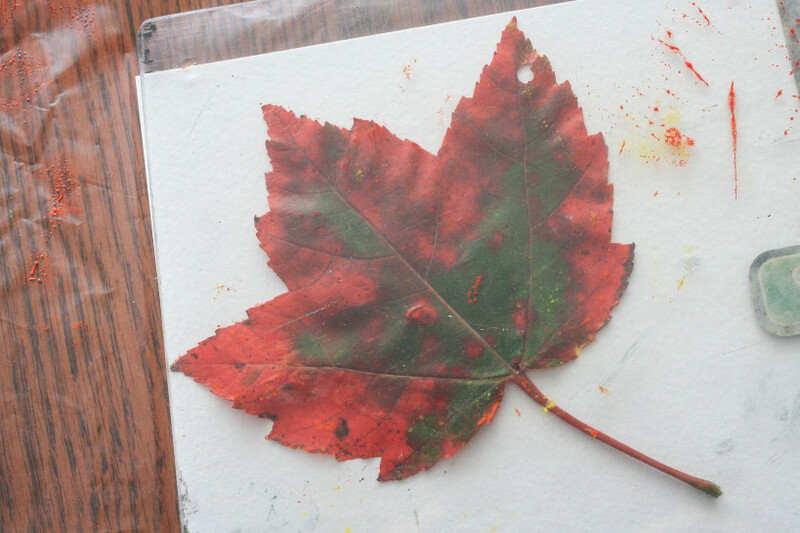 Using a dry paintbrush we brushed the paint onto the bottom of our leaf. 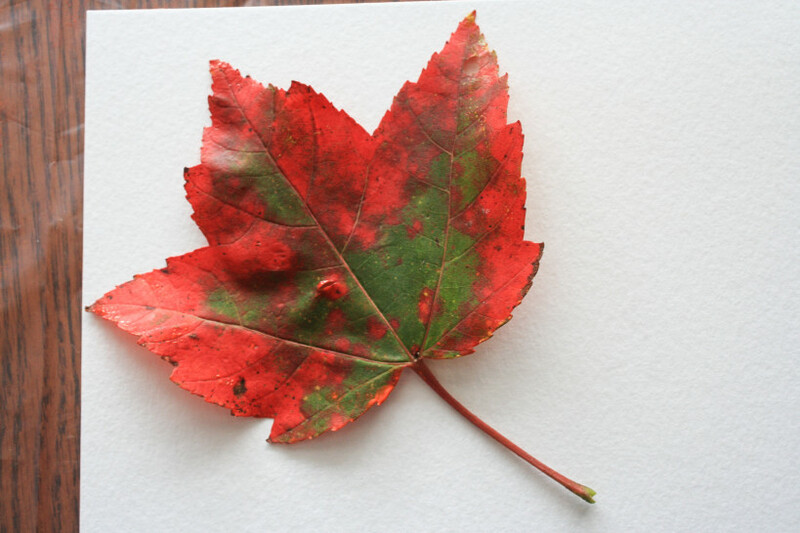 Then we laid the leaf, paint side down, onto the paper. While you can press with your hands only it does not make for an even print, so we decided to use some plexiglass to help press the whole surface of the leaf evenly. (We have a stash of old plexi lids from old toy containers.) You could use any ridged flat object such as a book or cardboard. Just be sure to press really well around the larger veins of the leaf. 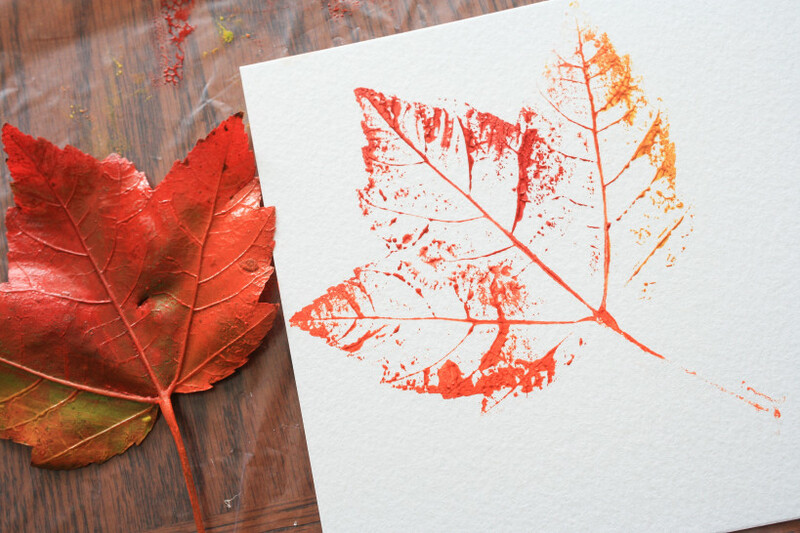 After pressing pull the leaf away from the paper and marvel over your beautiful print! Play around with colors. You don’t have to stick to the fall color pallet. 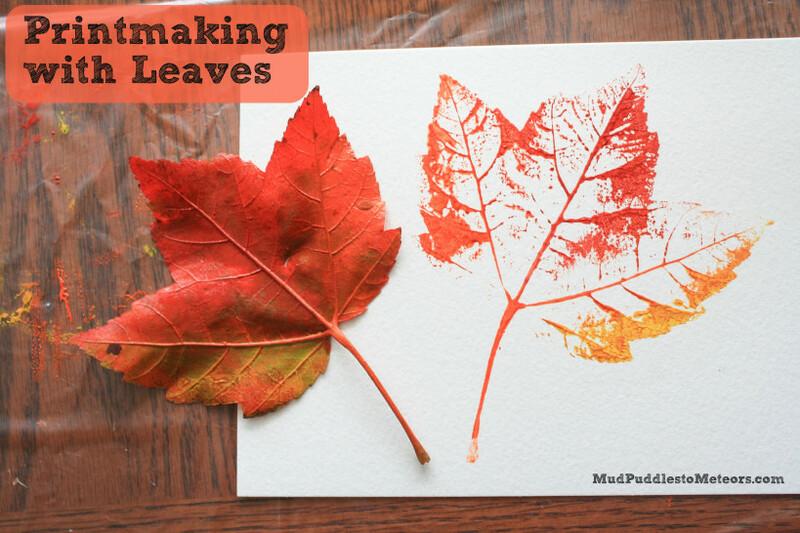 You may want to try some pastel leaves or even print a few with other holiday colors for future card making!